Ikea is known for its Swedish reliability and their design flare. Founded in 1943 by Ingvar Kamprad the company now operates 415 stores in 49 different countries. Ikea stores are visited by over 900 million visitors worldwide. With the company offering over 12,000 different products at affordable prices, its no wonder people keep traveling to go to Ikea. This increased footfall also means an increased strain on the internal floor finishes which often take the majority of abuse, frequently subject to surface scratches from foot bourn dirt and moisture. This presents the store with a number of health and safety risks. As a result, keeping these shoppers safe is one paramount aspects and maintaining the aesthetics of the interior is another. 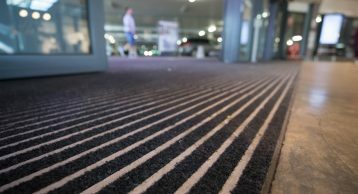 At INTRAsystems we know very well that Entrance Matting helps reduce slips and trips, reduce the amount of dirt trafficked into the building therefore reducing the cleaning costs and ultimately maintain a safe environment for all shoppers. 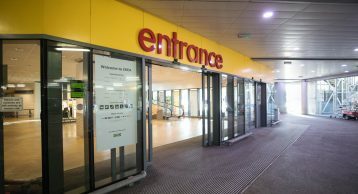 Ikea Milton Keynes is a very popular store as it caters to a wide market. 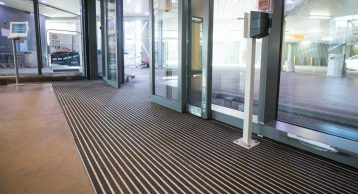 They opted for the reliable and durable INTRAform Single module Entrance Matting to keep the dirt at bay. 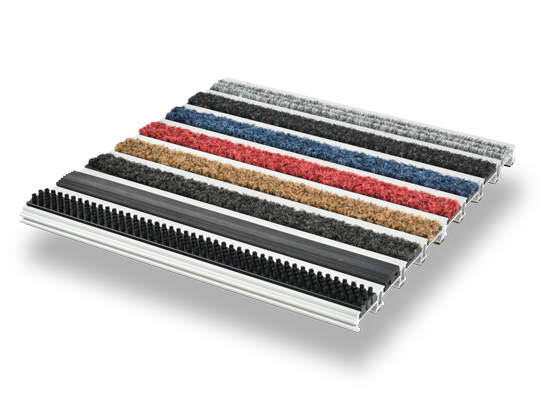 The INTRAform Aluminium matting system is our heavy-duty plank system, which is exceptionally hardwearing. The planks come in interlocking format for ease of installation as well as a range of colourful inserts. 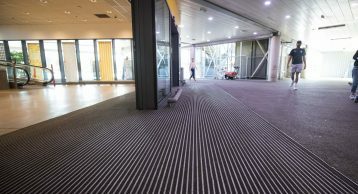 INTRAform is a closed construction matting system giving it the edge when it comes to cleaning and maintenance. 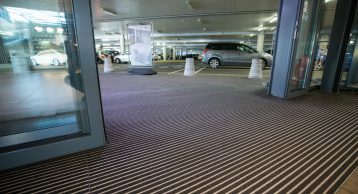 We worked with the client and recommended this matting solution because it is fully DDA compliant making it suitable for wheelchaired traffic. 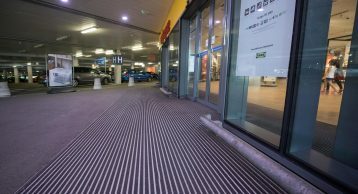 By installing this Entrance Matting the ingress of soil and moisture into the store is prevented therefore maintaining a clean appearance inside. 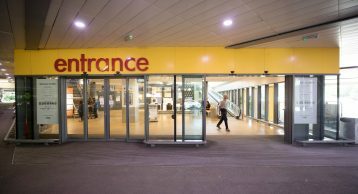 Find out more about this product, alternatively you can contact our experienced sales team to find out how we can help enhance your entrances.